We sell all of them directly, except for the Urban Arrow - we work with the lovely Flying Dutchman on supplying new Urban Arrow models to customers. Based in East London we're a social enterprise that puts some of our sales, hires and events profits back into local community projects. So we're the ethical choice for buying a cargobike! We can deliver to elsewhere in the UK, please enquire. 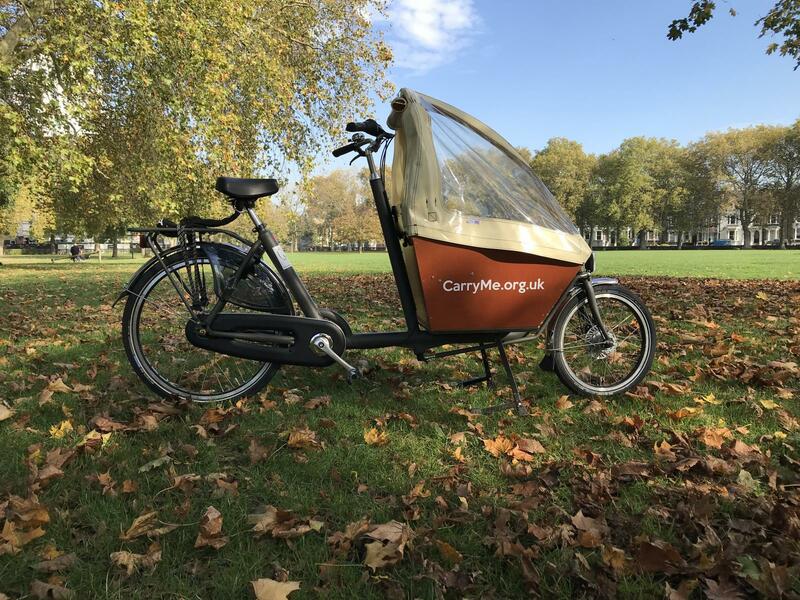 What's the Carryme Bikes offer? We often have our demo bikes for sale at a discount, because they have been used for hires and for demos with customers. Check out what's available below. We also buy in new stock and sell at normal prices, which takes about 3 weeks. 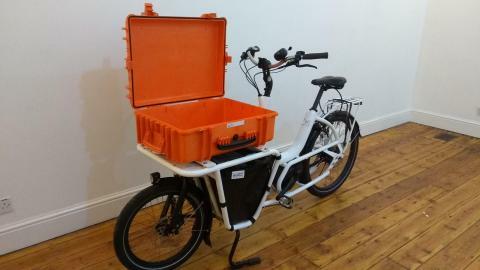 Sometimes we will have a new cargobike in stock that you can purchase straight away. We give a 5% discount on purchases for members of the LCC and Cycling UK on new bikes and accessories. This doesn't apply to hires, but we offer £10 off hires if you are a member of Cyclefox. 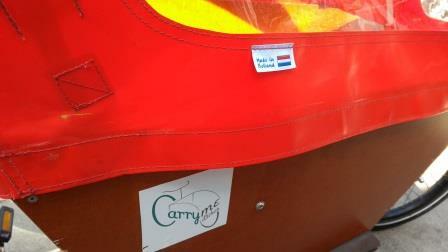 We sell Babboe, Bakfiets.nl, Bertus, Nihola, Tern, and Urban Arrow brands of cargobike. We also sell Outeredge Patrol trailers designed for carrying children. You can make us an offer any time on any of the hire models we have. Sometimes we have one or two are our priority to sell at any one time, depending on how long they've been in the hire fleet. But we sometimes buy in new stock just for sale - just go ahead and ask us. And you can order in any of our models brand new, usually within 2-3 weeks. 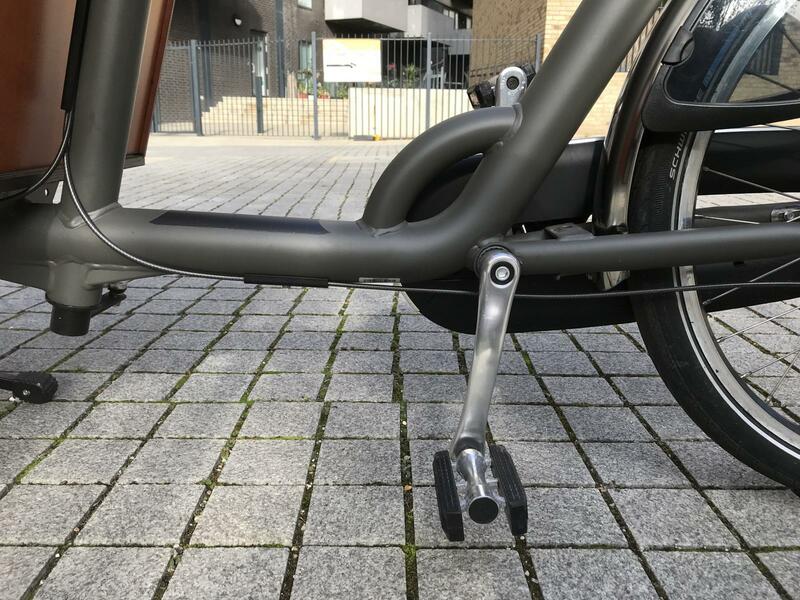 SHORT 2-WHEELER Azor Bakfiets - normal price £1895, our price: £1775 - The classic Bakiets Short is a cute little cargobike with a small footprint but a big personality. This one in Matt Granite frame colour is really classy and we've paired it with a creme raintent for extra visibility and panache. You can have two children inside the box on the bench, or one on the bench and a baby/small toddler on a support seat in the box, or one baby in a maxi cosi inside the box. 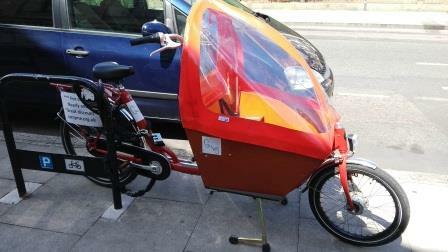 Of course, with all Classic Bakfiets you can put a child seat on the back rack too. 'SHORTY' Urban Arrow - normal price £3899, our price: from £2995 - The Shorty is a versatile little thing, being able to carry a baby in a maxi cosi with special attachments, or a waterproof canvas shell throughout both sections of the front part (which can be split into two compartments), or have a 'toolbox' (orange) or pizza box attached to the top part (both lockable) and a separate waterproof canvas section at the bottom part. Those configurations are extra, depending on what combination you go for. With a Bosch motor and 400w battery and Nuvinci continuous hub gears it's a joy to 'drive'. We've added a special Urban Arrow back rack so that you can add a child seat or a box to the back too. Please ask for details and have fun trying it out! 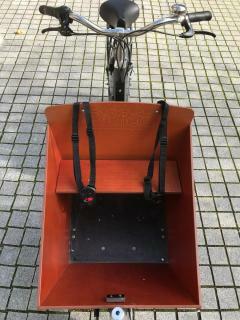 Below are examples of ex-demo cargobikes we have sold. Check out the Hires page for what's available now and enquire about purchase prices! 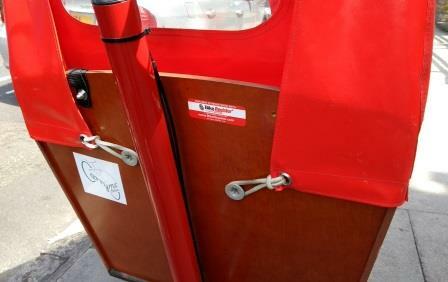 This bike is also registered with Bike Register, so it's on a database that can be accessed in the event of theft. LONG 2-WHEELER 'Bertus' brand - NOW SOLD - but new one in stock inhire fleet! - Currently in our hire fleet, the lovely good-value Bertus will soon be on offer for sale. Coming with a smart black box and an extra slot-in seat you can comfortably seat three children in the box (or four just for photos.....). Expect a price of between £1300-£1400 'nearly new' - so, at least £400 off the Azor Bakfiets price for a similar machine. Get in touch to find out more! LONG **Electric Assist** Azor Bakfiets 2 WHEELER - £3,442.50 - This is now SOLD! 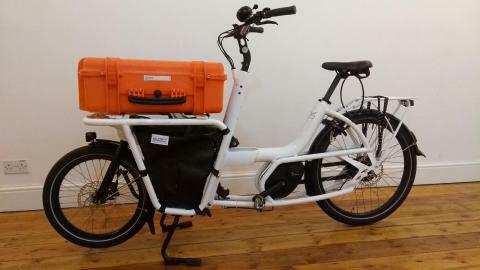 A big advantage is being able to hire a cargobike (or trailer) before you buy, so that you can fully make up your mind. We take your hire costs off your purchase price. We provide a friendly, individually-tailored service in E5, East London. You're choosing the ethical option, because when our margins allow, 5% of our sales go back into the community in the form of projects, events, and free hires for local fundraisers. 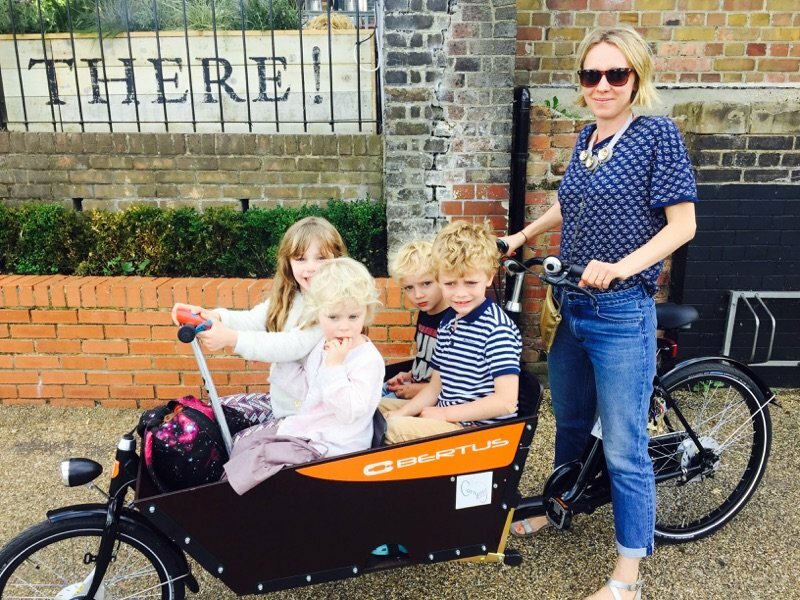 We specialise completely in cargobikes, family cycling and freight by bike. Your first tune-up service (within 8 weeks) is free. Thereafter, services start at £55 for our purchase customers (£65 for other customers). 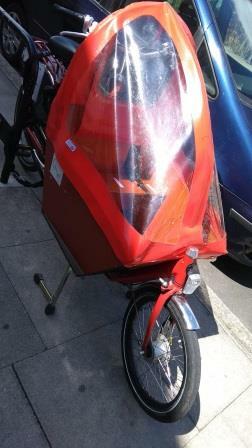 We can usually also provide you with a 'courtesy cargobike' so that you're not without your favourite mode of transport!